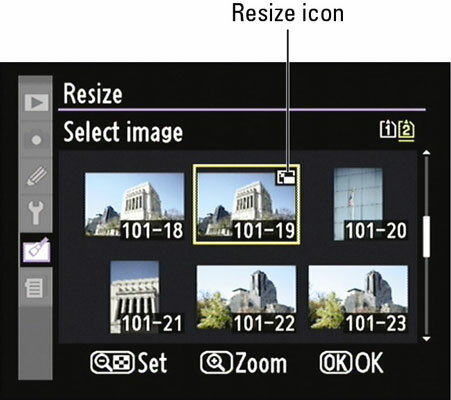 If two memory cards are installed, select Choose Destination and then select which card you want to use to store the resized images. Move the yellow highlight box over a thumbnail and press the ISO button to “tag” the photo for copying. You see a little icon in the top-right corner of the thumbnail. Press the button again to remove the tag if you change your mind.